Several arrests were made amid protests by the Black Lives Matter group at the Mall of America in Minnesota, officials said. 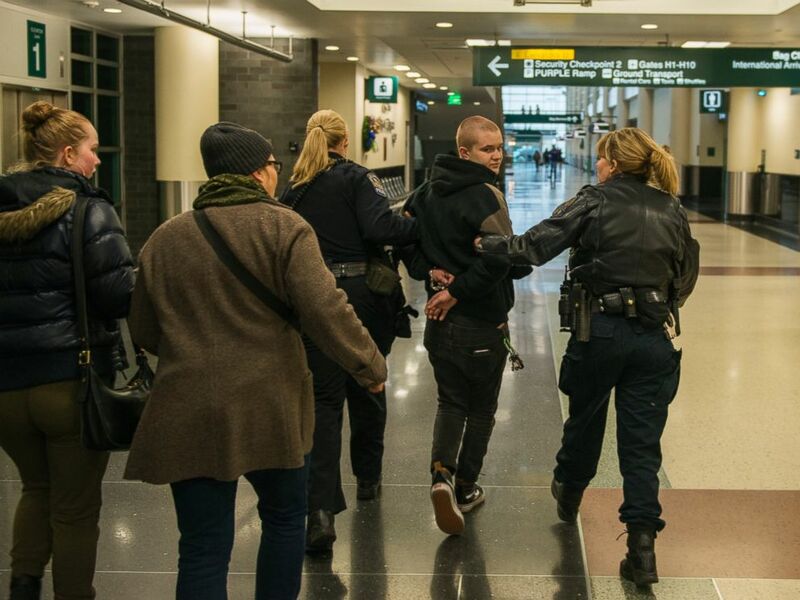 Protesters moved their demonstration to the Minneapolis-St.Paul International Airport this afternoon after they were forced out of the Mall of America in Bloomington, Minnesota, where four were arrested. The airport protesters caused "significant traffic backups," the airport said on its Twitter account. It also temporarily closed Terminal 2 checkpoints to "prevent protesters from gaining access to secure area." Airport police did not immediately respond to ABC News' request for comment. A woman, arrested at a Black Lives Matter protest at the Minneapolis-St. Paul International Airport, is walked by police to a detainment room, Dec. 23, 2015 in Minneapolis. 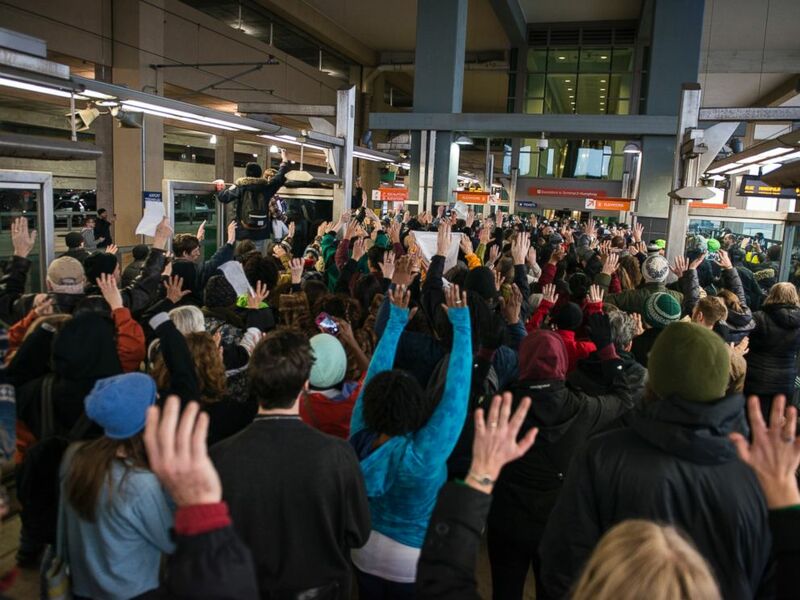 Black Lives Matter protesters hold their hands in the air and chant, "Hands up, don't shoot," at the Minneapolis-St. Paul International airport Lightrail stop, Dec. 23, 2015 in Minneapolis. The group first started at the Mall of America. Black Lives Matter said on its Facebook page that the mall protest -- on what is one of the busiest shopping days of the year and at the nation's largest mall -- aimed to bring awareness to last month's deadly police shooting of Jamar Clark, a black man from Minneapolis. Protesters, who gathered around 2:30 p.m., were met with officers using a loud horn to say the demonstration on mall property was not authorized. The officers then moved forward until everyone exited. Bloomington Police made four arrests related to the protests, the Mall of America told ABC News. Three were arrested for trespassing and one was arrested for trespassing and disorderly conduct, the Bloomington Police said. A fifth person was arrested on unrelated charges, the mall said. Police said that arrest was for an unrelated warrant. There were no reported injuries and no reports of property damage during the demonstration, police said. Approximately 80 stores were closed for about an hour while law enforcement officers escorted protesters off mall property, the Mall of America told ABC News. The rest of the Mall remained open, the mall said. 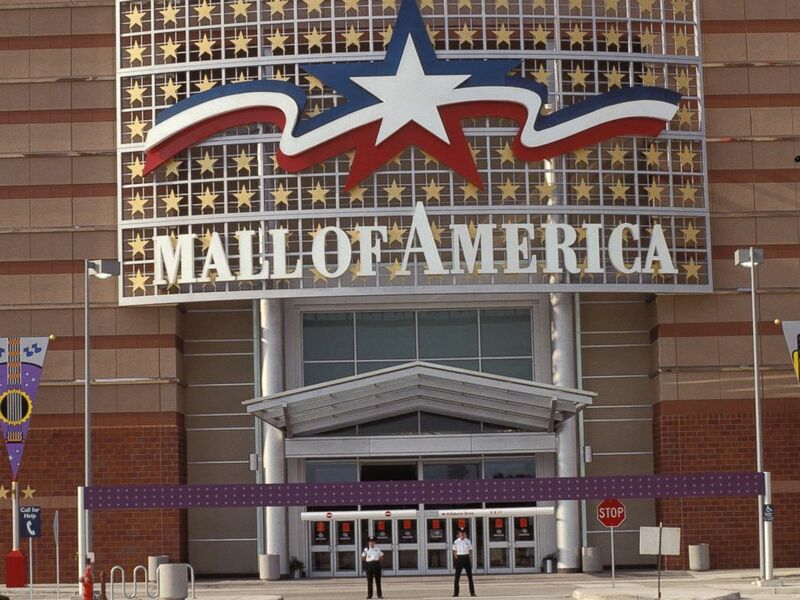 "Mall of America has a longstanding policy banning political demonstrations and protests on our private property," the mall said. "That policy is in place to protect the safety of all Mall of America guests, employees and tenants. The organizers of today’s protest were well aware of that policy. We respect the rights of free speech and peaceful assembly. However, the courts have affirmed our right as private property owners to prohibit demonstrations on our property." One of the main entrances to the mall, Mall of America, in Minneapolis in Aug. 1992. Earlier, the Mall of America unsuccessfully sought a court order to stop the protest. Three organizers were banned from attending, but the judge said she doesn't have the power to prevent others from showing up. "We are a leader-full organization," Kandace Montgomery, one of the organizers barred by the judge's order, told the Associated Press. "Just barring three of us does not mean that you've stopped our work." Black Lives Matter did not immediately respond to ABC News' requests for comment.